Is Cal State Long Beach changing its mascot to the Squirrels? Photo courtesy of Instagram. The school has had two color schemes: its original brown and gold, and the black and gold worn by teams today. In the 69 years the school has been around, it’s averaged a name change every 11 and a half years or so and a mascot change every 14 years. So Manfredi can be forgiven for thinking he might soon be watching the Squirrels play in the Pyramid. In the history of the school, there’s arguably never been more confusion around branding than there is at this specific moment. The college currently refers to itself as both CSULB and Long Beach State. The school’s official instagram handle is CSUlongbeach, but the display name for that page is Long Beach State University. Respectfully, that doesn’t make any sense. Marketing and branding are about simplicity and recognizability. Nike: one logo, one name. Apple: one logo, one name. That’s not Marketing 101, that’s the information that the professor assumes you already know when you walk into the Marketing 101 class. The university already has tons going for it: a great history, a great city, and an “LB” logo that’s known worldwide. It just needs to figure out how to put the confusion to bed and forge ahead behind one identity. So with that said, we took a crack at answering the biggest questions facing our shared alma mater—whatever its name may be. Great question. The kind of thing you’d ideally like to be sure of before writing a tuition check or buying season tickets. We are strong believers that the school should be Long Beach State, in any and all branding—for sports and academics, on the diplomas and the signs leading into school. The reasons are simple: there is an enormous amount of pride in the city of Long Beach, and virtually no pride in the CSU system from anyone that isn’t employed by it. Former president F. King Alexander often told us that the school’s professors were the stumbling block in switching from CSULB to Long Beach State, as they felt that California was a better brand to be associated with than Long Beach. A few notes: a Google Trends analysis shows that CSULB is the most popular search result out of CSULB, Long Beach State, Cal State Long Beach, and LBSU. That makes sense given that it’s currently the official name of the school. But if you look at a geographic analysis, almost literally no one outside of California has searched CSULB. 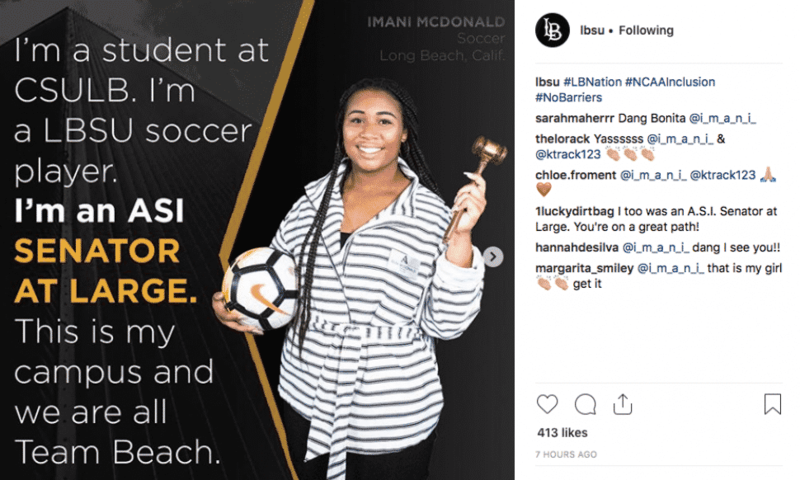 The school’s national brand is already Long Beach State—it’s by far the leading search result in every area besides Southern California. Google Trends analysis of branding. Google search trends by state. Putting the school’s best foot forward with “Long Beach” instead of “CSU” (the second-best public university system in California!) would also take a big step towards unifying the school with the city, something programs like the Long Beach College Promise have sought to do. Alexander and current president Jane Close Conoley have both talked about the need to bridge the “Atherton divide” between the school and the rest of the city. Becoming Long Beach State would help. Similar moves have already paid big dividends for schools like San Diego State and Fresno State, who have much more recognizable brands nationwide and locally than they did when they were CSUSD and CSUF. Hoo boy. Here we go. The university recently posted a mock-obituary for Prospector Pete and Conoley has confirmed that the iconic lower-campus statue of Pete is being removed and relocated. Where is it going? To a building that hasn’t been built yet. We’re taking that as a pretty strong sign that Pete is gone for good, and we’re starting from that assumption. We’d love to see a tree where the statue was—alums who are pissed about its removal can stop there to pay their respects. The CSU system has requested that schools move away from using people as mascots. Fortunately, numbers aren’t people. We’ve been referring to the school’s teams as the 49ers even over the last few years when university releases started referring to them as “the Beach,” and we’ll continue to do so until we stop seeing “Long Beach State 49ers” on ESPN when the school plays televised games. With campus sentiment aligned against the gold rush and prospectors generally, there’s no reason that “49ers” can’t simply represent 1949, the year the school was founded. That is, after all, why that name was originally chosen anyway. We aren’t in favor of actually referring to teams as the 1949’rs, which has been suggested, for the aforementioned marketing reasons—shorter and simpler is better. We also aren’t in favor of the path the school has forged, referring to its sports teams as “the Beach.” The reason for that is simple: We are writers, and “the Long Beach State 49ers beach volleyball team” is a lot easier on the brain than “the Long Beach State Beach beach volleyball team.” Reversing course from the Beach to the 49ers would require a shift in direction from the athletic department, but as we’ve already discussed, naming shifts happen pretty regularly anyway. Even though “Dirtbags” are technically human mascots, we’re not in favor of changing the name of the school’s best-known sports team. If “49ers” is to be erased from campus as it’s been erased from the school’s jerseys, we’d prefer choosing a completely new mascot, as opposed to using the “Beach” moniker. Nugget the Donkey is likely still available, or the school could pick an entirely new animal. We’d suggest the Japanese Garden’s Koi fish as an original and somewhat unique option—better than squirrels anyway, which inhabit every college campus and park in the country. Keeping the 49ers would also save the school some effort. A change to that name campus-wide would require renaming the Daily 49er newspaper, the 49er Shops, the Nugget, the Outpost, the Gold Mine Gym, the school’s famous and beloved 49er Camps, and the school’s 49er Foundation. For one thing, the university needs to get on the same page. That’s easier said than done given that the campus is really a series of interlocking fiefdoms with occasionally overlapping interests. Conoley’s executive committee regularly gets the main players together and should make it easier to get everyone saying the same thing. It appears that the school is three years or so into a four- or five-year process of renaming itself Long Beach State. Let’s not wait, and just do it today. Spend the money to change the signs, the website names, and the email addresses—we’ve been a part of corporate restructuring that included all of those things, and it’s easier than it sounds. It will be worth it to not log onto www.csulb.edu and see references to both names all over the place, or to see high school athletes announce that they’re going to attend CSULB to play basketball at Long Beach State. Almost more important than what the school does is how it does it. The message should be articulated clearly and strongly. At the start of the spring semester this year, every student on campus should know what school they go to and what its mascot is. No shadow transitions, no subtlety. It’s worth remembering that whether the school is the Long Beach State Beach or the Cal State Long Beach 49ers, somebody’s going to be mad. Hell, some people still long for the return of the brown and gold color scheme, which has always been reminiscent to us of midnight diaper changes. The biggest constant in the school’s history is change. Beloved traditions have frequently come about on a whim. “Go Beach!” is echoed all over campus, but it’s literally just a phrase former president Bob Maxson started saying one day. Students wear shirts saying they Bleed Black & Gold, but that color scheme exists because football coach George Allen walked on campus and said, “Brown and gold’s ugly, make it black and gold instead” and wiped away 40 years of history. Change is inevitable, it’s always happening. We say speed it up, and make the next change at least feel like a final decision. Then communicate it clearly to students, professors, and fans. That way even if they don’t like whatever the decision is, they’ll know they’ve been dealt with fairly. As for us? When people ask, we say we went to Long Beach State, and that we cover the 49ers.